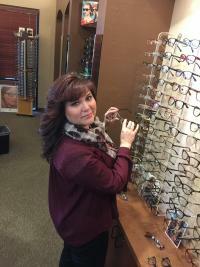 Christy is our Optical Manager. She has been with us since 2008. Christy carefully selects our high quality frames in order to bring you the best variety. Christy is a problem solver and really enjoys helping you find the best frame to fit your face while giving you the best value for your money. Mya is our Lab Manager. She has been here since July of 2009. Mya is a ‘Jack-of-all-trades’. 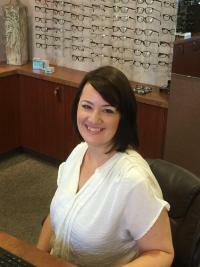 She does everything from billing to lens cutting to helping you decide your best options for glasses or contacts. Mya loves her coworkers and getting to work with family. 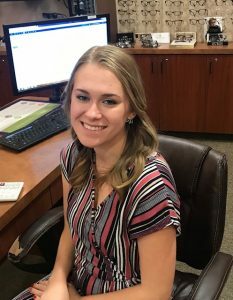 Erin has been with Sonoran Desert Eye Center since 2017 and helps patients in the selection of frames and lenses. She received her education from Brigham Young University – Idaho Campus and is currently studying at Arizona State University. Erin’s greatest trait is that she is caring and attentive to each and every patient. Patients are always complimenting her competent and attentive care! Anissa has been an optician with Sonoran Desert Eye Center since 2017. 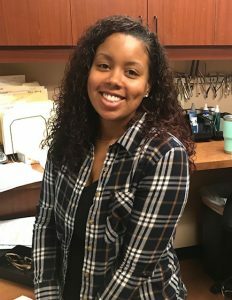 Her friendliness, hard work ethic, ability to listen well, gentle demeanor, knowledge, and concern for others makes her an ideal optician for patients with special needs, She especially loves working with children.